Hi, I just wanted to share a few small changes in the dining room. Firstly, the walls are now a creamier colour, matching in with the recently repainted lounge room. And in keeping with adding a few "real" pot plants to our home, I purchased this one and a cute little green pot for it to grow in. No more searching my bare garden for something to put on the table or spending a fortune of cut flowers at the shop. The cute little green glass candle holders I found in a discount store for $3 each. They add a bit of colour to the table. And I've removed the lamps and simplified the decor on my buffet. Very pretty, Julie. Newly painted walls always make everything seem clean and fresh. I just love your buffet too! 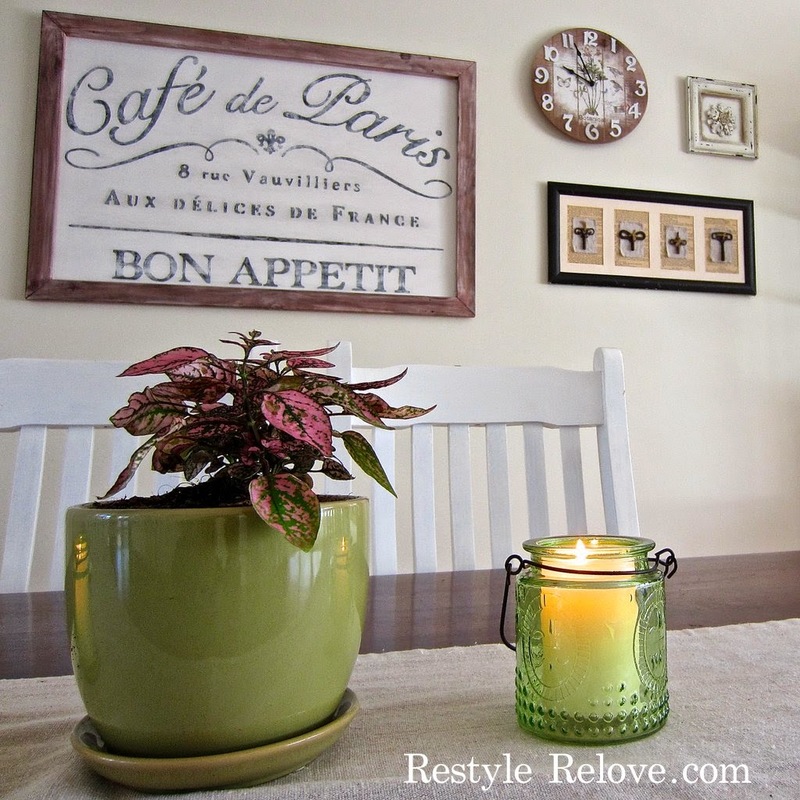 Your dining room looks so fresh and pretty, Julie! It's amazing how small changes make such a big difference in a room. I love how fresh and clean looking your house is. It looks lovely!